This season of Game of Thrones (GoT) has been a roller coaster of emotions. A fascinating whirlwind of intrigue, chaos, destruction, and romance through Westeros and beyond the wall. Every episode is packed with in-your-face action, layers of subtle detail, and beautifully crafted cinematography and acting. 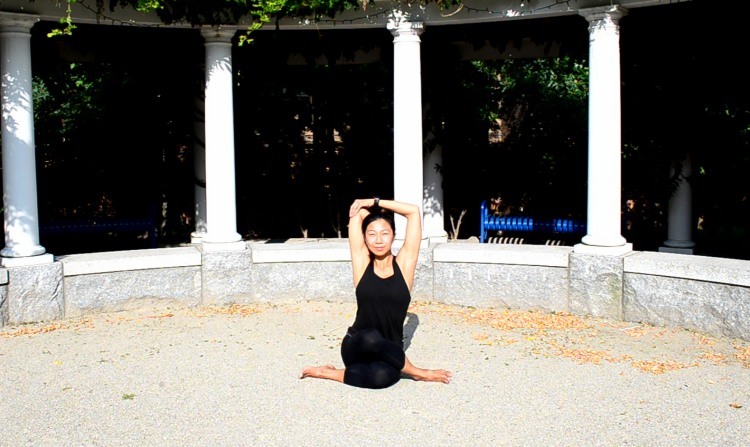 These yoga poses are specifically curated to help you balance, center, and release tension from your body, (the north body remembers) while ensuring you can still focus on watching GoT. Winter yoga is coming. Before facing the Night King and his army, build some heat in the body with three to five rounds of Surya Namaskar A (Sun Salutation A) and three to five rounds of Surya Namaskar B (Sun Salutation B). During this warm-up, take time to connect to your intention for the practice. Yoga is connecting to the self, and this practice will have the added challenge of your attention being pulled to outside forces, aka all the drama of Westeros. This challenge can be for your benefit. You will likely experience a wide range of emotions in roughly an hour, take time during this practice to not only watch GoT but also notice what stirs within you when things happen on the screen. For example, if watching the final moments of Season 7 Episode 6 made your heart ache, notice that and become a witness to that experience. In this way, you can make the process of practicing yoga while watching GoT intentional and informative. The opening few minutes of every episode generally give a summary of what previously happened that is informative for this episode, as well as give time for the opening credits and accompanying GoT theme song. This is the perfect time center, balance, and prepare for the upcoming, most likely heart wrenching and dramatic episode. 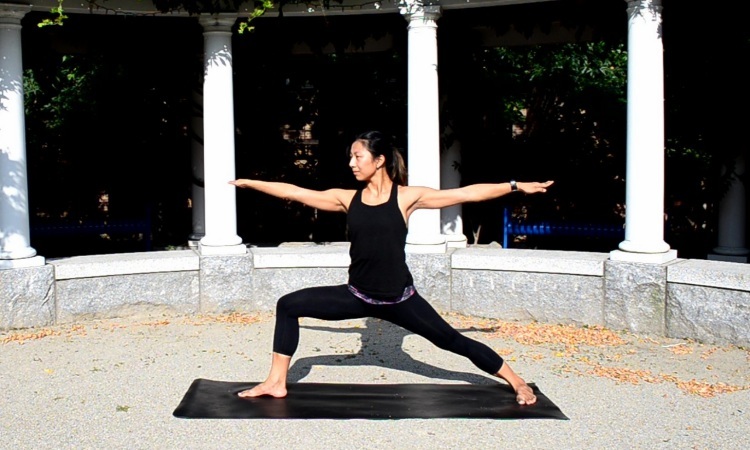 This is the time to channel all the great warriors like Brienne of Tarth, Yara Greyjoy, and Jamie Lannister for Virabhadrasana I and II (Warrior Pose 1 & 2). 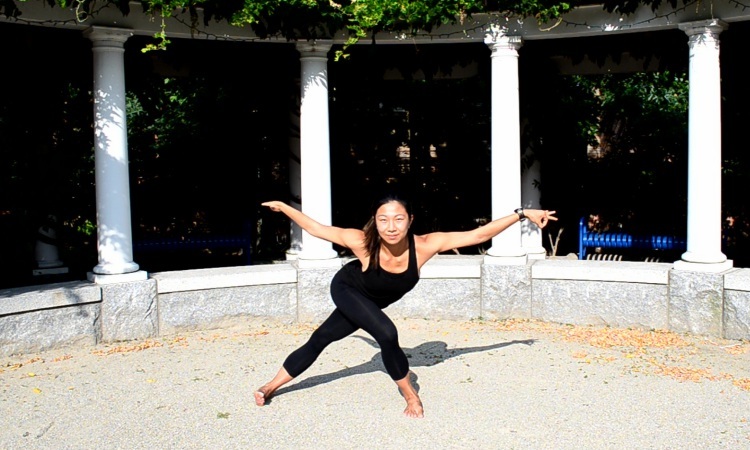 Inspired by the mother of dragons, Flying Dragon Pose is a spine-strengthening, IT band-stretching, expansive asana that evokes power and nobility. Like Littlefinger and Varys, grasshoppers are skilled at jumping from danger and wield powerful influence in their legs. Also like grasshoppers, both men seem to have ears unusual places, grasshoppers have ears in their bellies and Littlefinger and Varys seem to have ears (and spies) everywhere. Modified grasshopper pose continues to stretch the IT band, provide a gentle spinal twist, and allow for maximum GoT viewing. Like the passionate and radiant House Martell, this gentle backbend with the pelvis in a purposeful anterior tilt opens the heart to radiate sun and life. Resting with both feet on the floor is a powerful stretch and staying here for a few minutes will help you channel all the spine strength and confidence of the sand snakes. Taking a Figure Four Legs is a great way to make this asana work the spine and the hips. This pose forms alliances between the hips (South) and the shoulders (North), an influential combo, so watch out White Walkers. Inspired by the hopeful and naïve wish that the North and South will unite to fight tightness a.k.a. the White Walkers. Garudasana (Eagle Pose) arms also pays tribute to House Arryn, may grounding in the hips in Pigeon pose help Littlefinger and Robin find some stability in GoT. Like the Unsullied, cows are loyal, stoic, and hardworking with deep layers of concealed emotion. Grey Worm pose would also fit but as a whole, Gomukhasana (Cow Face Pose) is easier to practice and get a deep hip and shoulder stretch while watching GoT. To protect the knees and ankles, this pose is best practiced on blocks and blankets for anyone with tight hips. Bharadvajasana + Deer Pose = Game of Thrones inspired Stag Pose. Finally, Gendry is back and we can practice our newly forged Stag Pose to honor House Baratheon. Imagine sitting on the Iron Throne in this pose, spine long, chin up and looking regal AG (As Gendry!). While in tactic, opinions, and generally all things we would differ, Euron and I could agree that he holds a tough and commanding Iron Fleet. Channel that muscle in Navasana (Boat Pose). For extra core work, add charging legs to the mix with one leg reaching forward at a time. It is important that the spine stays strong and lengthened when the legs move. 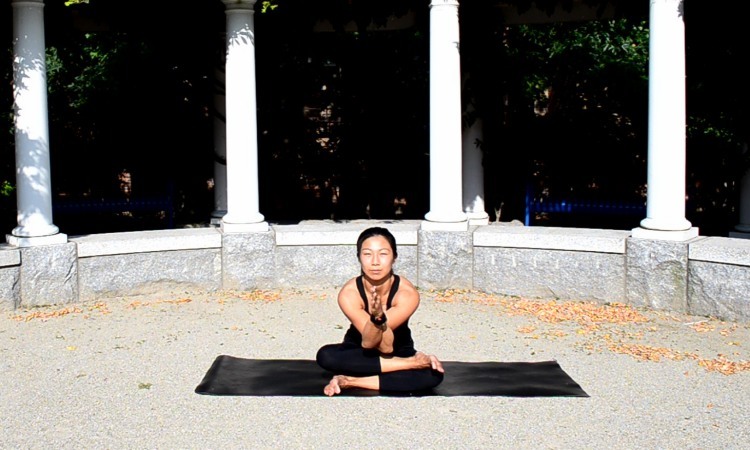 Practice a variation of Virasana (Hero Pose). Focus on Dany when practicing with the left leg back, fostering yin energy from the left side. Focus on Jon when practicing with the right leg back, fostering yang energy from the right side. Finally, to release tension from the body, practice Simhasana (Lion Pose). If the night has been especially stressful, think about cute baby lion photos as you exhale in Lion Pose. Option to have the legs in full lotus or knees wide. This sequence was created to be lighthearted and fun, with the hope that you make it your own. Feel free to add other poses. For example, you channel Bran with a raven inspired Bakasana (Crow Pose), House Stark with a wolf pup-inspired Uttana Shishosana (Extended Puppy Pose), or be inspired to practice Malasana (Yogi Squat) with a fiery flare like Melisandre. Cut out different poses, for instance nix Navasana (Boat Pose) if you would rather not support House Greyjoy. Have fun and feel free to add GoT-inspired yoga pose suggestions below!